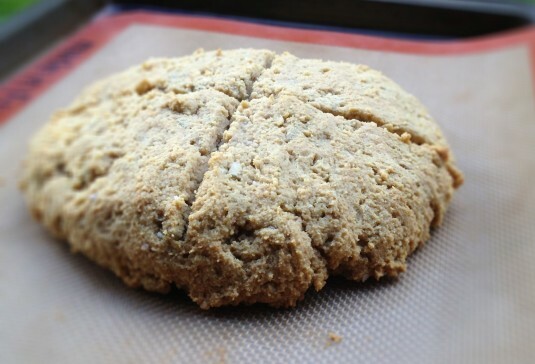 I had remembered the same problem from when I regularly made soda bread with sunflower seeds more than 20 years ago! It always drove me crazy and I never understood why it happened. Now we have the Internet, however, so I just Googled a question about it and found the reason: The discoloration is the result of sunflower seeds being rich in Chlorogenic acid. Most plants only have Chlorogenic acid in the stems and leaves, but sunflower also has it in the seeds/oil/butter. Also one of the reasons sunflower is good for you. Daphne, thank you so much for solving this mystery. All my years in the kitchen and the green sunflower seeds had me baffled. 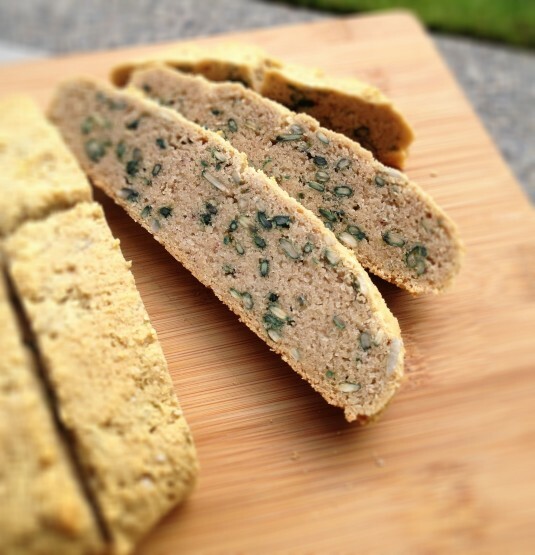 I’m looking into some Paleo seed cracker recipes where you puree the sunflower seeds and then bake them….will be interesting to see how those come out. I did a little searching and came across a picture of fantastically green (and what looks like chocolate) cookie. I bet kids would love this. Remember the purple ketchup that Heinz had years ago? Oooo, I could never eat a green cookie!!! Let me know how the crackers turn out.